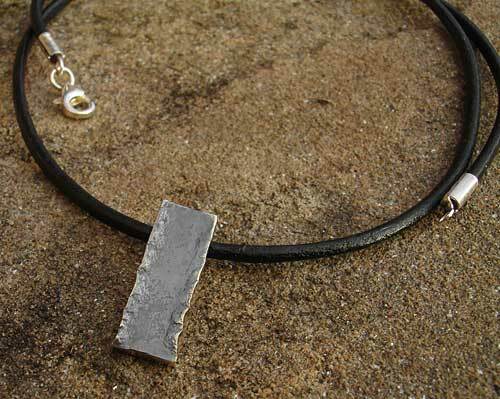 Oxidised Silver Necklace For Women : LOVE2HAVE in the UK! 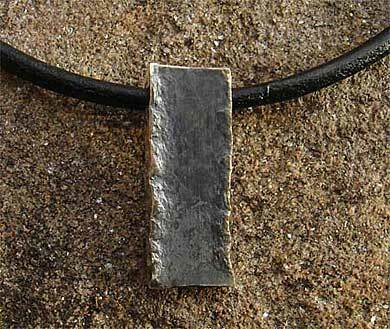 An oxidised silver necklace for women. Not all ladies want plain polished silver for their jewellery, and many of our customers shop with us for this reason. Usually, they are looking for that grungy look. This necklace is just the ticket as it is the matching necklace for the torc bracelet we sell. It has the same smooth style top surface in a satin matte oxidised finish, and the outer hammered textured style edges are in a polished finish. Oxidised silver is ideal for jewellery as it is very stylised with an organic quality. The width of the silver is 7mm, and it measures 19mm in length. 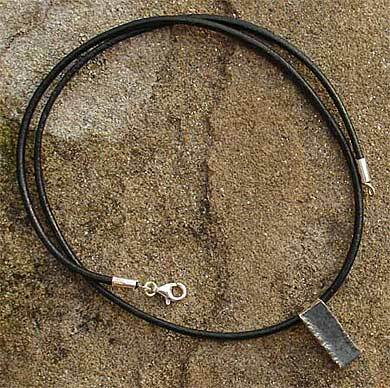 It comes threaded onto a 17 1/2 inch black leather necklace. Size(s) Available: 17 1/2 inches as standard. Metal(s)/Material(s) Available: 925 sterling silver. Vegan non-leather also available.